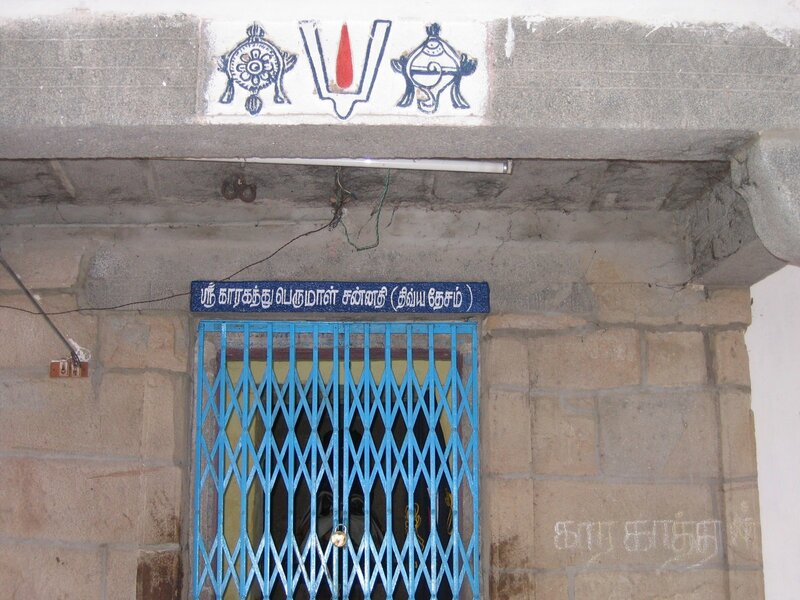 Thiru Kaaragam Sri Karunakara Perumal Temple dedicated to Lord Vishnu located inside the temple premise of Sri Ulagalanda Perumal Kovil, Kanchipuram. 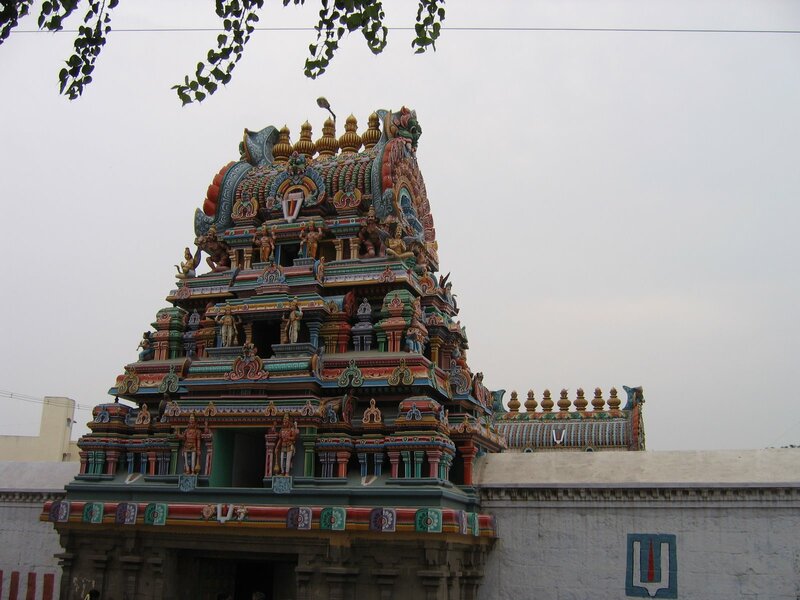 Sri Ulagalanda Perumal Kovil has the significance that this temple enshrines three Divya Desams – Thiruneeragam, Thirukkaragam, and Thirukaravanam in its precinct. 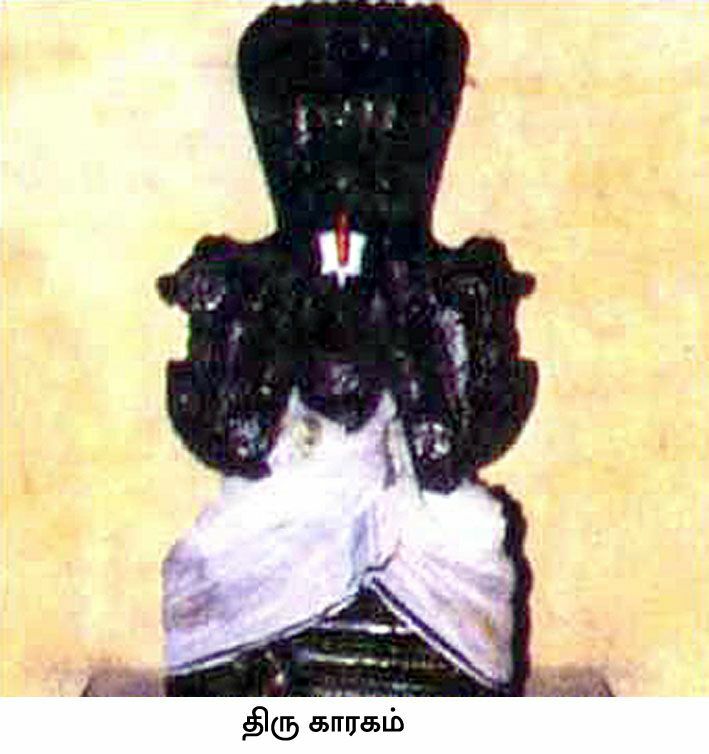 The Perumal in this sthalam is Karunakara Perumal. He is giving his seva on facing South direction, which is said to be the direction that belongs to the cool breeze. He is found along with Padmamani Naachiyaar and explaining to the world that he is the Megham (Clouds) which brings rain to this world to enrich the wealth of the world. Without expectating any return, the clouds give the rain to the world. Since, Karunakara Perumal resembles as Kaar, the clouds, he doesnt expects anything from his bhaktas but he only the pure bhakthi from them. Since, the Perumal is not expecting from anything but only, the pure bhakthi and show Karunai (Courtesy), the Perumal is called “Karunakara Perumal”. Sometimes, the sky doesnt gives rain. It will test the earth and finally gives rain for the earth to flourish. Like the same way, inspite of knowing the problems of bhaktas, he will test them whether they will continue their pure devotion to him. And after that, he will give all his blessings to them, thereby making them get out of their problems.